It’s really frustrating to have a high-spec computer and for it to feel slow and sluggish as time goes on. Modern desktops and laptops still outperform the computing capability of smartphones and tablets, however I can’t deny that I find myself reaching for my iPhone more often than not when wanting to access the Internet. This is simply just because browsing the web on a device that utilises flash memory provides a faster and more responsive experience, rather than hanging around like a spanner waiting for things to load. Drive manufactures have really changed the game when it comes to drive latency, with the use of non-volatile NAND flash memory as storage devices. 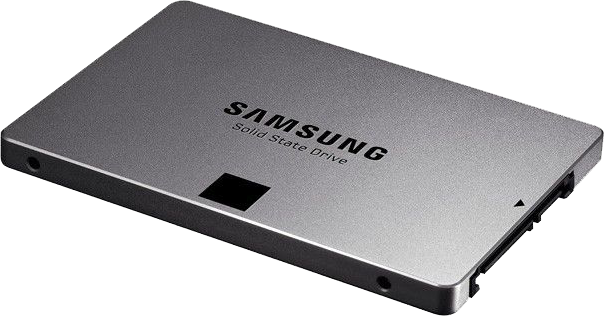 Solid state drives as they have come to be known, aka SSD’s, utilise flash memory instead of spinning platters found in traditional hard disk drives (HDD’s). This results in SSD’s having extremely fast read and write speeds that even the fastest traditional HDD’s simply cannot match. So the solution is to swap out the existing SATA HDD for a SSD equivilent. So recently my Hackintosh was feeling a little slow, so I asked the rents’ nicely if I could have an SSD for Christmas as I didn’t know what else I wanted (my family firmly believes in practical christmas presents). So on Christmas day after opening a few presents I gladly came across a Samsung SSD 840 EVO 120 GB with my name on 😉 as well as a professional series soldering iron, iPhone alarm clock and electric coffee grinder (sadly, no car battery chargers or fire extinguishers this year). After arriving back in London at the weekend, I installed the SSD into my Hackintosh in addition to the existing 3 HDD’s. 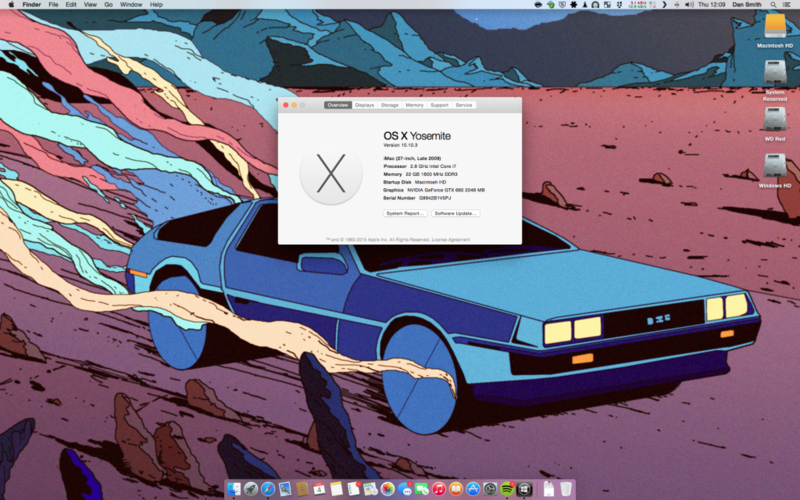 I used the opportunity of the new OS install to upgrade from using OS X 10.8 Mountain Lion to the most recent 10.9 Mavericks. There are mixed reports on google whether the Gigabyte X58A-UD3R works with Mavericks, but I can confirm that it works without a hitch. All the usual areas of difficulty associated with Hackintosh installs work correctly; sound, sleep, graphics (EVGA Nvidia GTX 660 Ti 2GB), bluetooth and USB 3. To my complete surprise I also noticed that the SATA III ports were now capable of running at the full speed of 6 Gb/s instead of the usual SATA II 3 Gb/s. I have tried the Samsung SSD using both speeds and I can report the following (Old HDD speeds also shown). My HackPro now turns on in just a few seconds (once past the boot loader), which is just FAB!.